AllSeated can help you to build your floorplans and seating arrangements using our amazing event floorplan software. 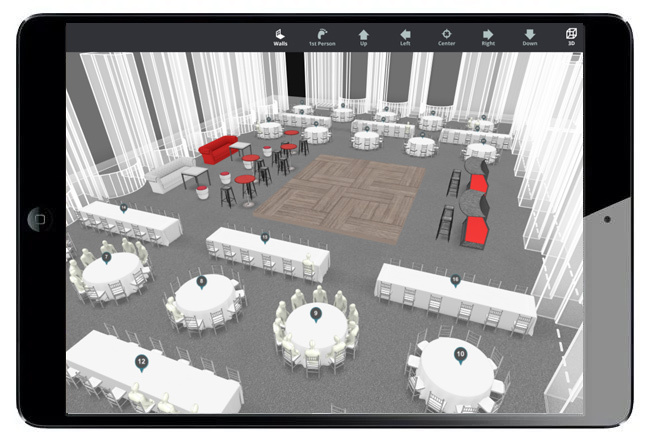 AllSeated’s event floor plan software allows you design your floor plans to scale, select your tables and furniture from vast furniture libraries and then view the layout in stunning 3D! 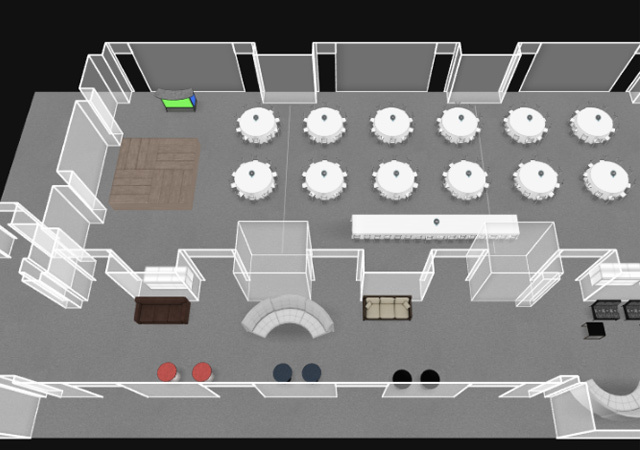 It’s really easy to get started using AllSeated’s event floorplan software. AllSeated will help you to navigate the process of getting your floor plans uploaded and in action quicker and easier than ever before! 1. The name and address of your venue. 2. Dimensions of the event space. 3. Perimeter walls of the event space. If you already have a map of your floor plan, you can send all of the floorplans you want to use to floorplans@allseated.com. Our graphics people process them for you! We take your floorplans and then scale them, remove the tables and other movable objects, and convert them to a file type that works with our system. Once you have sent in your floor plans, the process usually takes around 48 hours from the time we send you a confirmation email. We will let you know when it’s uploaded! AllSeated has a large number of venue floorplans already on the site. If someone else held an event at the same venue and used AllSeated, the floorplan is stored and ready to be used by you! If you have any changes to the floorplan, we can accommodate you. If you registered on the AllSeated site as a venue, the floorplans are in your account and you can create an event! Simply go to seating, then click new, then click venue hall, and then select the floorplan you want to work with for your event, give it a name, and click finish. If you registered as a planner, caterer, or host, you need to create or go into your event, click on add venue, and search for the name of your venue. From there go to seating, new, venue hall, and select the floorplan you want to work with, give it a name, and click finish. You only want to register as a venue if you represent the actual physical venue. Are you a bride, groom, or someone who is actually hosting an event? Then host is the user type for you! We can work with Google maps screen shots or *overhead* photographs as long as they have dimensions or a scale. We can also work with hand drawn diagrams but be aware that if the drawing itself isn’t to scale, we need every dimension in order to produce an accurate diagram. Please email what you have to floorplans@allseated.com and we’ll let you know if we can work with it. For general support, please email us at support@allseated.com or use the Live Chat feature which is available 24/7 and gives you assistance in real time. You may also want to watch the informative tutorial videos or consider signing up for a webinar.